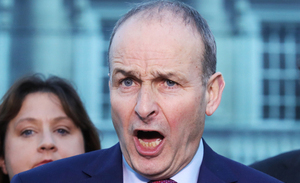 Fianna Fáil Leader Micheál Martin shares his pleasure at extending his party’s Confidence and Supply Agreement with Fine Gael that could keep Leo Varadkar in power into 2020. Can kill a man stone dead. 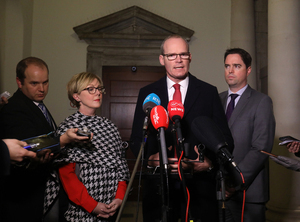 Minister for Foreign Affairs Simon Coveney (in red tie) speaks to the press this afternoon. 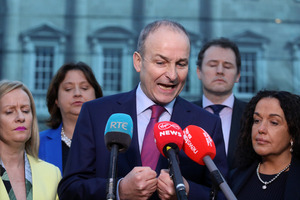 Posted in Misc and tagged Confidence and Supply, Micheál Martin at 7:01 pm on December 12, 2018 by Bodger. Snouts remain in trough for another year. None of this was agreed for the good of the country, only for the good of FFG’s pockets. 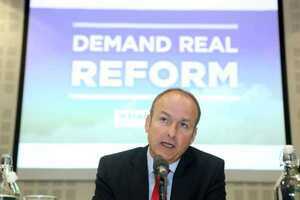 Coveney: “. 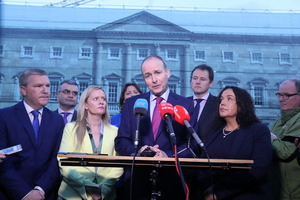 . . .two large parties working in the national interest . . . ” – on the nine o’clock news just now. 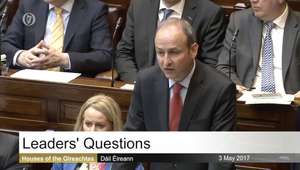 * Abstain in the election of Taoiseach, nomination of ministers and also the reshuffling of ministers. * Vote against or abstain on any motions of no confidence in the government or ministers. * Maintain pairing arrangements for EU Council meetings and other government business as agreed. Is this Confidence and Supply nonsense constitutional or even legal? For those that voted for FF is it not a better return on your vote that they stand in opposition against the party that you did not vote for? Does this not create a scenario where a terrible sitting government can destroy the place for 5 years because their C&S partner protects them from getting the boot? *Why does a visit to independent.ie result in 3/4 pages being loaded into the history and in turn making it difficult to back up. Yes and Yes. It it’s not prohibited – it is legal. Nothing is mentioned about this in the constitution. And I’m quite sure there are no laws that prohibit this either. 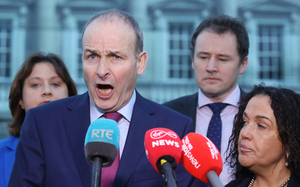 FF slams FG. 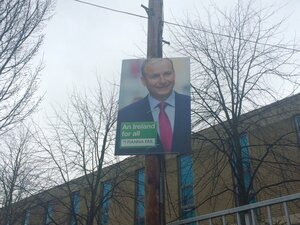 FG slams SF. Lab slams SF. SocDems slam ’em all. Sp & PBP say down with all this. 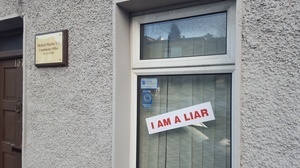 Inds say tut tut, what about our local hosp? FF – Finished. A radical party in the 1930’s has been fully castrated by the party of the big farmer, greasy mé-féiners, F.U. capitalists and the local representative of the international hedge fund – assimilation is complete. SF is the the new FF. I don’t think they needed any help to be fair.